Please welcome Shelley of The Perks of Teaching Primary! 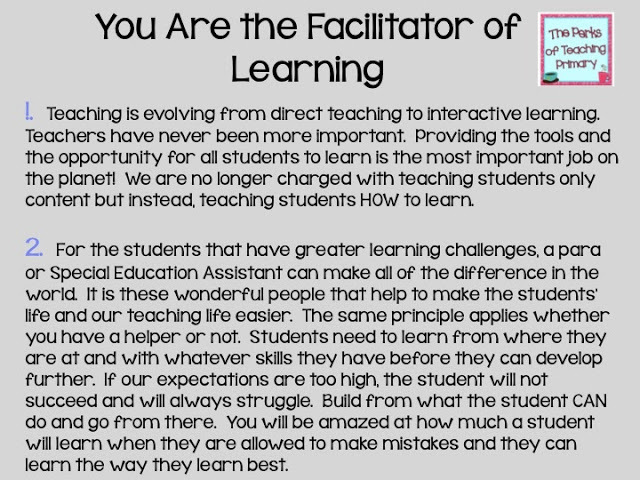 Today she shares with us how to reach every learner in your classroom and even included a freebie. Teaching is a very demanding job requiring skills and knowledge in a huge spectrum of areas: academic knowledge, child development (both physical and social and emotional). A teacher needs to be a “counselor” and a problem solver. Teachers need excellent organizational skills, communication skills (with children and with adults), and the list goes on. I don’t need to tell any teacher that having skills and knowledge in all those areas is only a small piece of teaching. Other challenges include classroom organization for best learning, students with special needs, learning disabilities or behavioral problems, and working with administration and parents. Add to that marking and report cards. Luckily for us, most of us LOVE what we do, and we are supercharged to provide the BEST learning experience that we can for our students. So the challenge then is this: how do we balance all the above required skills for teaching and the needs of our students and still live to talk about it at the end of the day? Today, I’d like to present a different mindset for working with all learners and not just the special needs students. A big buzzword as of late has been “differentiated learning.” Many teachers attended in-service to find out just how to plan and prepare for the variety of kids in their classroom, just like I did. 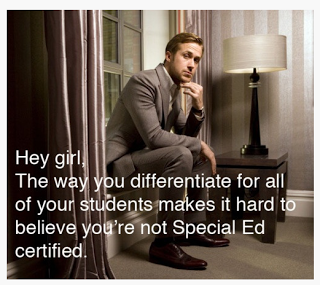 Most of us are not Special Ed certified. For me, what started as differentiated learning morphed into a whole new mindset for teaching and learning. You see, ALL students have special needs. Some are just more pronounced, demanding, or challenging than others. When I say this, I am referring to the challenges not only for the teacher providing the learning opportunities but also for the student who is learning. Everyone is different. 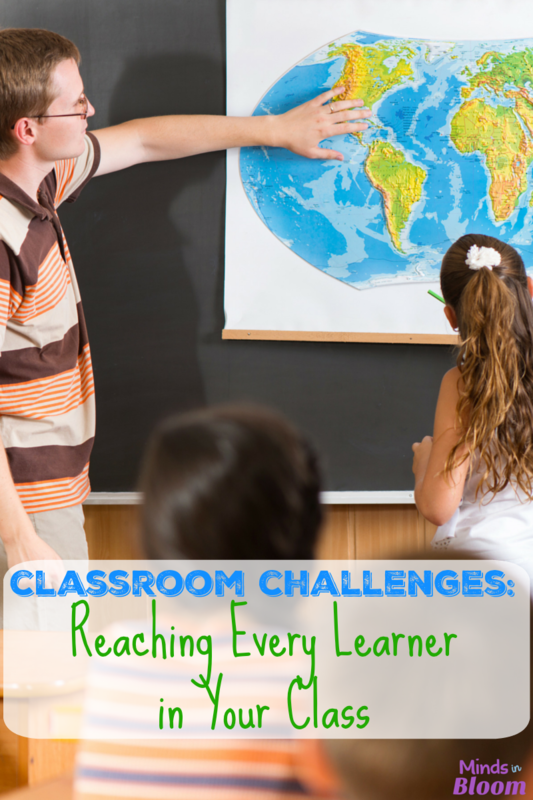 So how does one teacher deal with an entire class when everyone learns differently? It all depends on your mindset and how you approach teaching and learning. 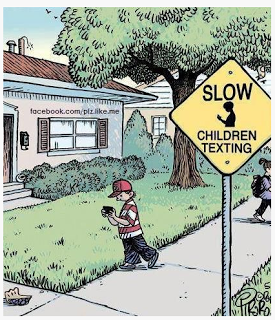 The first step is to pay attention to their learning behavior, especially at the beginning of the year. It is more important than content. 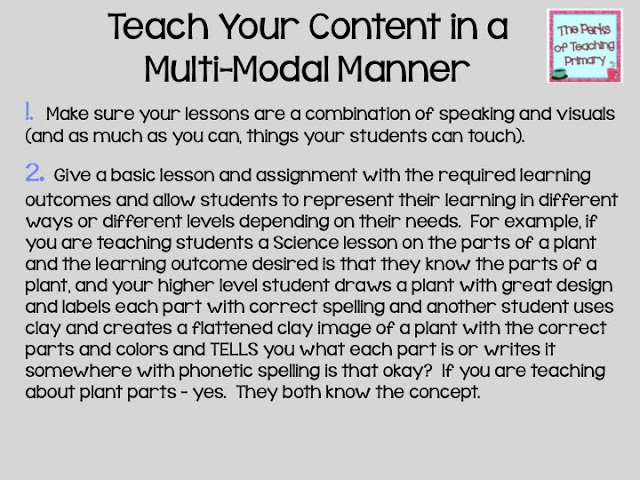 This is when you learn about your students and how they learn that you can present content in such a way that they will be able to retain it and make connections. But don’t worry, you won’t need to plan a different lesson for each child! The following is a list of principles of individualized learning for ALL students. 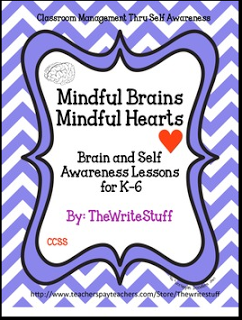 I use a resource I developed, which I have mentioned on my blog before, called Mindful Brains, which is based on the Mindup Program. 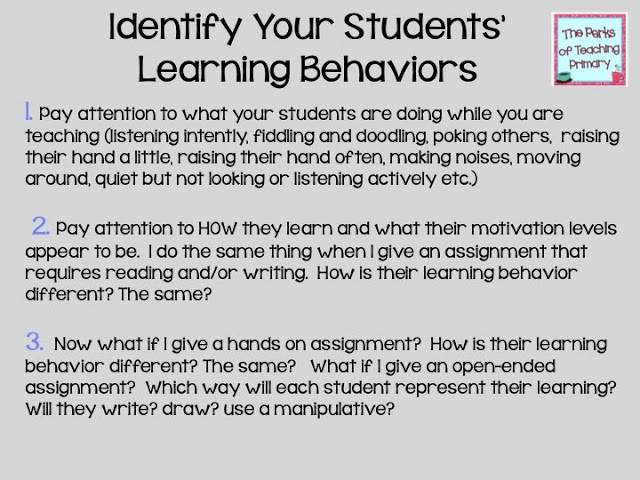 It is a great way to teach students self awareness. Click on the picture for more information. 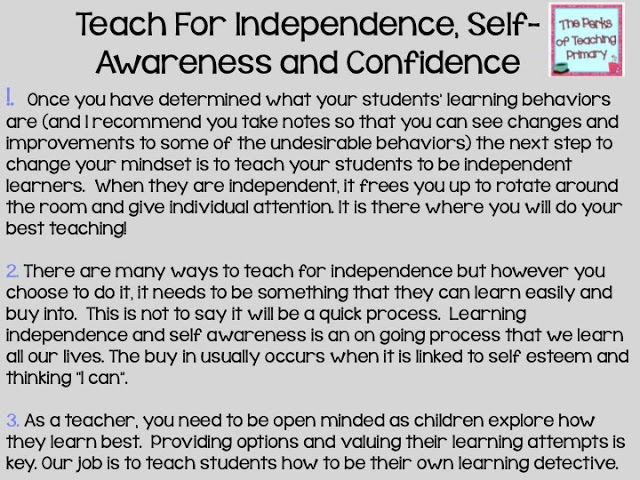 Students can be shown how to understand and be aware of their own learning. 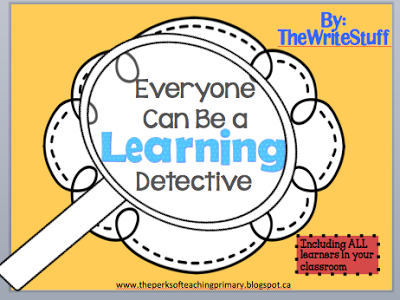 I created this FREE resource for you to use with your students to show them how to be their own learning detective. It’s a great beginning into self-awareness and can be used with a wide range of students with adaptations. Not only are these ideas meant to help you teach your little darlings more effectively, but they are also meant as “permission” to not use direct teaching all the time, as that can lead to burn out and is not always the most effective method. Whether you are a new teacher or a seasoned teacher, these principles are important to keep in mind when planning for your students. Take slow steps towards these guiding principles and the transition will be smooth for everyone. I am honored that Rachel has allowed me to guest post for Minds in Bloom. I feel passionate about sharing ideas with other educators, and this is a great forum in which to do so. My name is Shelley Rolston, and I teach second grade in a suburb close to Vancouver, BC. I’ve been teaching for 23 years. I’ve taught grades 1-6, but I love second graders the most. I am also passionate about individualized student learning and writing development. (I wrote a paper for my Master’s that was called “Work or Play? Writing Development of Girls and Boys.”) I love learning more about individual differences (learning disabilities, gifted, etc. ), similarities and differences of boys’ and girls’ learning, and writing development. I blog about it at The Write Stuff Teaching. Get Your Task Card Handbook for FREE! I really love this. And btw, your presentation is gorgeous! So often we complain that young people don't show enough respect. By respecting each student's different way of absorbing information, we not only end up teaching more efficiently, we are modeling respectful behavior in a quiet and potent way. We are honoring differences! Yay! Hi Shelly, A timely and thoughtful piece as many of us grapple how to best meet the needs of all of our students. Some great strategies and ideas for new and seasoned teachers. Love this blog post! You sound very thoughtful and intentional with your teaching. I can't wait to check out your blog!